to be similar, there are important differences that can help you avoid potentially dangerous risks by understanding which cables to use for your precise applications. 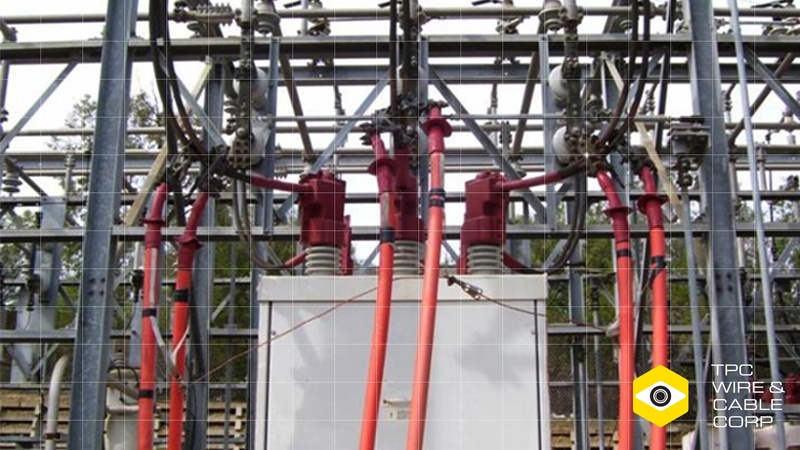 Medium voltage applications require cables that are designed specifically to handle voltages ranging from 5kV to 35kV, sometimes called Type-MV, Type-SH, and Type MV with concentric neutrals. Let's examine each of these three medium voltage cables more closely and go over the similarities and differences between them. Type MV cables are defined as single or multi-conductor cable rated for 2001 volts up to 35,000 volts. Type MV cables are typically specified as either an MV-90 or an MV-105, with the 90 or 105 designating the maximum conductor temperature in degrees Celsius (ºC). Type MV/Concentric Neutral cables are used mainly for power distribution. Power distribution is the final phase of electricity deployment where it’s delivered from the transmission system to the end-equipment. These cables are developed to handle fault currents and/or currents associated with unbalanced 3-phase loads. Due to coarse stranding on primary conductors and solid concentric neutral wires, the construction of concentric neutral medium voltage cables typically make them stiff and difficult to bend. 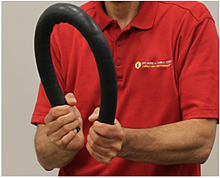 See the flexibility of TPC's medium voltage cable in action! Are you experiencing routine cable failure? Decrease your downtime and increase your reliability with TPC. Get started now by requesting a quote. Design Standards: There are several differences to point out between Type SH and MV cables like the product design standards used. Type SH cables are governed by ICEA S-75-381/NEMA WC-58. Our Type MV cable is designed to UL Standard 1072. Installation: While our Type SH cable is intended for temporary power applications such as on mobile substation equipment, our Type MV cable is recognized by the NEC for use in permanent installations. Plus, it typically carries additional ratings including direct burial, sunlight-resistant and for CT use. in 100% and 133% insulation levels. Type SH cables carry a 90ºC maximum conductor temperature rating, while the Type MV cables can carry a maximum conductor temperature rating of either 90ºC if they are Type MV-90 or 105ºC if they are Type MV-105. We’d be remiss if we didn’t mention unshielded jumper cables. TPC’s unshielded jumper cable is rated for 15kV. Since this cable is unshielded, protection against electrical stress on the cable is minimized. When handling a cable with a lack of shielding, a number of precautions must be taken during installation and should be performed by trained, knowledgeable personnel. When considering Type SH, Type MV or Type MV with concentric neutrals, everything depends your application requirements. So, what’s the advantage of working with TPC? Not only are our cables designed to withstand harsh environments, but we offer medium voltage cables with extreme flexibility compared to other competitor cables. Flexibility simplifies installation and is a time saver for operators and installers. Additionally, TPC has certified technicians who are trained to install terminations on these highly technical cables. Properly cutting and terminating these cables means getting through multiple layers of semi-conductive insulation, metallic braid shield, insulation, and jacket with superior precision. Improper termination will lead to cable and connector damage, damage to equipment, and put personnel at risk for harm. In order to verify the integrity of each finished assembly, TPC also conducts electrical testing on each finished assembly to help maintain reliability. Let’s start the conversation today on how we can meet your medium voltage cable needs.